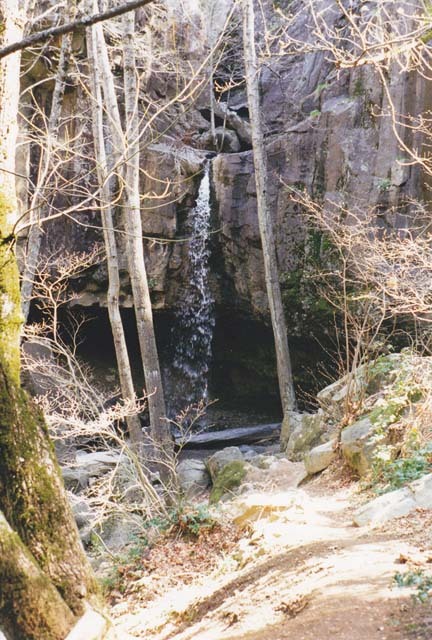 Hedge Creek Falls is located a short walk down a well-maintained path. Just off of I-5, it is a great little pit stop to make if you are driving through the town of Dunsmuir. It is possible to walk right in behind the falls, and reach out your hand and feel the water coming down. On a hot day, it would be great to take a shower under the waterfall. History has it that stage coach robbers used to use the back side of the falls as a hiding place while waiting for the stage to pass above them. On the rare occasions when Hedge Creek is full and overflowing, multiple streams cascade down the cliff face. It is a beautiful and surreal experience. To get to Hedge Creek Falls from Weed, go south on Interstate 5 to the first exit for Dunsmuir. Take an immediate right on the frontage road at the bottom of the offramp; you will see a small park and parking area on your left. Park there; the trail to the falls begins next to a rock fountain that overlooks the Sacramento River canyon. 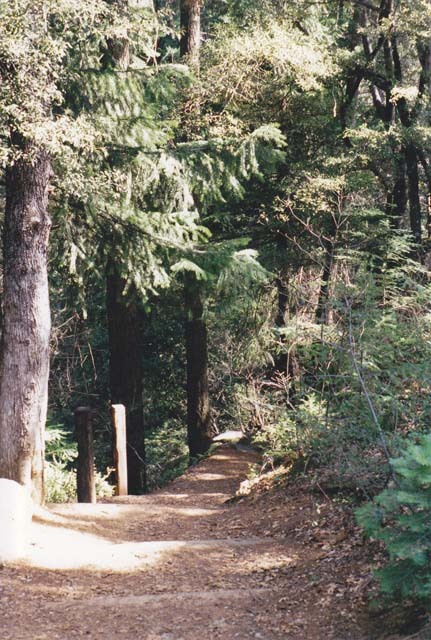 The trail is well-maintained, although it will be slippery when wet. There is a resting bench located about halfway down the zig-zagging path from the parking area to the falls, and another at the base of the falls itself. 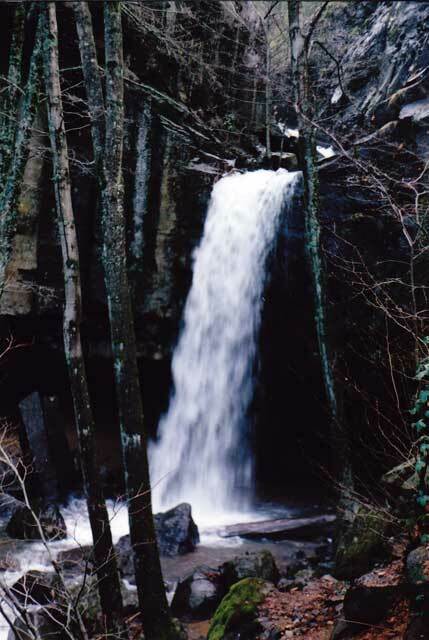 At the trailhead, enjoy cool fresh mountain spring water on tap at the rock fountain.